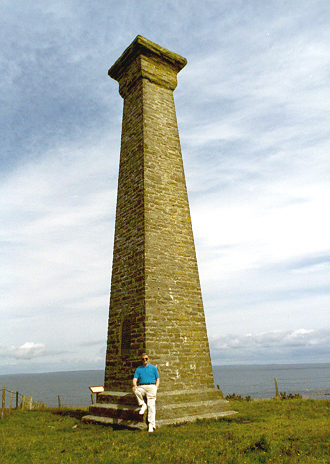 The tall monument was erected on the cliff top above where the shipwreck took place. 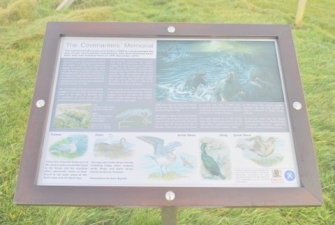 In 2016 the SCMA funded new interpretation panels erected at the site, telling more of the story of the shipwreck. 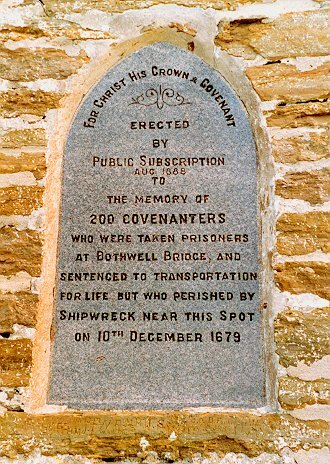 On 10 December 1679 the 'Crown of London' was shipwrecked at the Mull Head of Deerness with the loss of 279 Covenanters who had been sentenced to banishment. Most of them were locked in the hold, and the catain refused to allow them to escape. A number did survive, however, and some of them settled on Orkney.